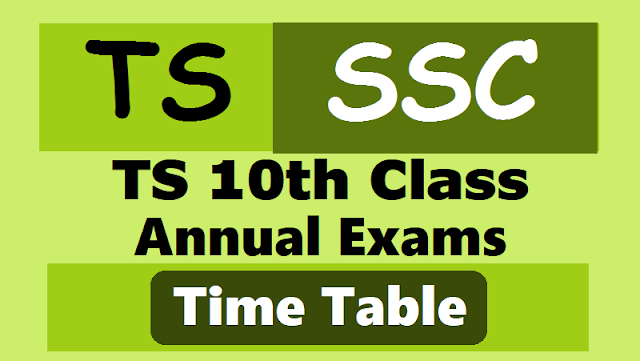 TS/Telangana SSC 2019 Revised Time Table: Telangana SSC March 2019 New Time Table, #TS SSC 2019 Time Table, bsetelangana ssc 2019 time tables, Directorate of Government Examinations, 10th Class SSC Public Exams March 2019 Time table, schedule, SSC Public Exams March 2019 Time table: The Telangana State Board of Secondary Education has announced that the SSC Public Exams will begin from March Second week, 2019. The first exam will be language paper I and the exams will conclude in March month. The dates are applicable for SSC, OSSC, and vocational, regular and private candidates. The board intends to release results after May first week. Official dates for SSC exams in Telangana were announced on 09/11/2018. The SSC exams will be from March 14 to 30. The Board of Secondary Education released a schedule to this effect. BSE Officials is going to conduct the TS SSC 2019 annual exams in Second week of March 2019 as per the new academic calendar 2018-2019. So, The Board of Secondary Education, Telangana state will announce the Secondary School Certificate SSC Public examinations(TS SSC 2019) time table for the year 2019 in the month of November 2018. The Board of Secondary Education has clearly indicated that the students of the entire Telangana state may have follow the same methodology. Telangana SSC exams to start from March 15(Tentative): The Telangana board of secondary education released the time-table for Secondary School Certificate (SSC) examinations. The Telangana board of secondary education released the time-table for Secondary School Certificate (SSC) examinations on Thursday. The examinations for SSC, and OSSC will begin from March 18, 2019, and will end on March 31, 2019. The first exam, to be held on March 15, in OSSC main is Sanskrit, Arabic and Persian. The objective sections of all subjects will be distributed and have to be answered in the last half an hour before the exam ends. This excludes language papers. The performance of the candidates will be affected if they answer wrong combination of question papers. Hence candidates are instructed to demand and answer right combination question papers. The examinations will be conducted strictly according to the time-table even if the government declares holiday against the dates mentioned in the time-table. TS BSE SSC 10th Class Exams time-table 2019 (Tentative): The Telangana Board of Secondary Education (BSE) has released the time table for the Secondary School Certificate (SSC) 2018 or class 10, OSSC and vocational candidates examinations. The students who will be appearing for their class SSC exams can check the date sheet here. The class 10 exams in Telangana will begin on March 18, 2019 with the First Language Paper-I. The examination will end on April 2 with SSC vocational course. The exams will be three hours long. They will start at 9.30 am and end by 12:15 or 12:45 pm. In 2018, a total of 5,38,226 students appeared for their SSC exams, results of which were released in May. The Telangana State Secondary School Certificate (SSC) examination will be held between March 16, 2019, and April 2. According to the timetable released by the director of government examinations, SSC, OSSC and SSC vocational course public examinations will begin from March 16. The timings of the exam will be between 9.30 am and 12.15/ 12.45 pm. While the class 10 exams for SSC students will end by March 29, for OSSC candidates, the last exam will be conducted on April 2.The director of the government examinations made it clear that the exams will be conducted strictly as per the released timetable even if the government declared a public holiday or general holiday. All the academic course subjects/papers will be common for both SSC and OSSC course candidates. The performance of the candidates who answer wrong combination of question papers will be cancelled. Hence the candidates are instructed to demand and answer right combination question papers only.